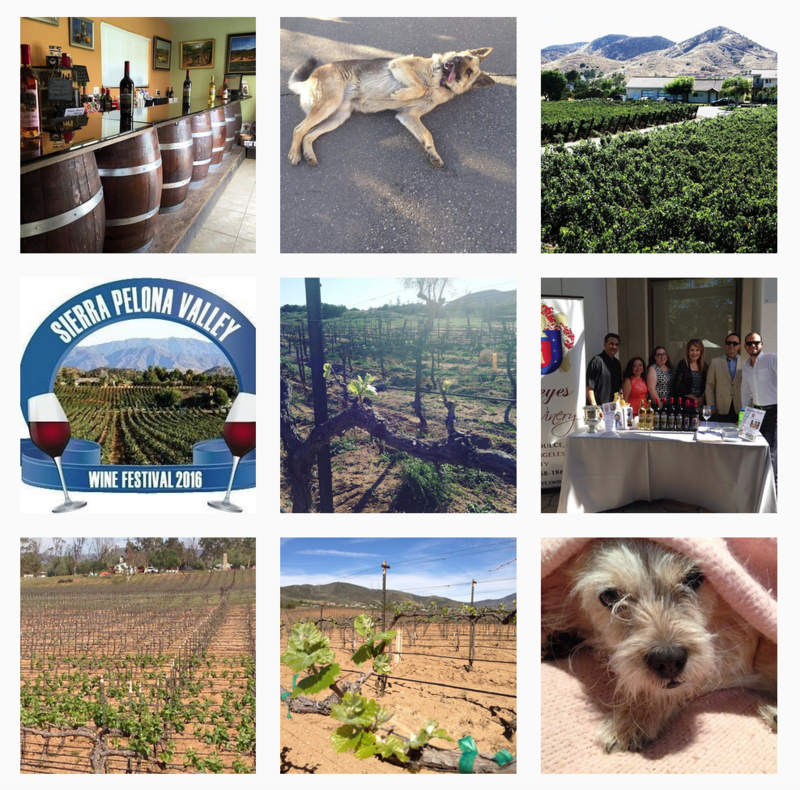 When I first started at Reyes Winery in Agua Dulce, I remember trying the 2009 Syrah. It became my favorite instantly. It has such a great smokiness and is so fruit forward that I knew it would be perfect to pair with bison or lamb. I have paired this wine with everything from Sloppy Joes to a leg of lamb. Syrah is sometimes known as Shiraz. It is grown all over the world. Its dark skin has a flavor profile which is influenced from the area it’s grown. 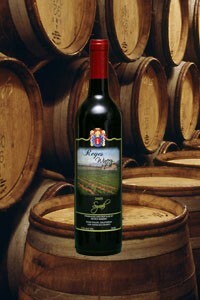 It is full-bodied with medium to high tannins. Our 2009 Estate Syrah is a jammy wine with notes of anise, pepper and blackberries with a hint of smokiness. 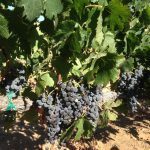 For many years, many have believed that Syrah came from the city, Shiraz in ancient Persia. Belief was that the Phoenicians brought the varietal west to Rhône around 600 BC. In 1999, DNA profiling has proved that Syrah has two parents, Mondeuse blanche and Dureza. They are both obscure grapes from the southeastern part of France. Summer is such a great time of year to have a barbecue. It’s so nice to have a gathering of your friends and family and share good food and wine together. I remember purchasing my first barbecue grill. I was so excited that it included a rotisserie. I couldn’t wait to have my friends over. My first thing I put on the rotisserie was a leg of lamb. prepared most of the items and on the morning of the party, I prepared the chicken, tri tip and the salmon. I had a friend help cook the meal with me. It was truly a fun party. Growing up, my grandparents didn’t have a barbecue grill. When my grandma would make ribs, she would boil, then bake them. The smoky flavor from a grill takes the ribs to another level, which I adore, but I did love her ribs. 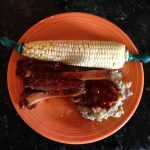 Through the years, I have created a signature barbecue sauce that I love. Sometimes I prefer sweet, and sometimes smoky, or even a little sweet and spicy. I just made it for my annual 4th of July BBQ. Wine and food pairing is more art than science. Use the notes you pick up from the wine to guide you in your pairings. Does a wine have a hint of citrus? Pair it with fish. If the wine is robust and bold, pair it with red meat. Do you pick up hints of blackberry or cherry? A lamb roast would pair perfectly. This sauce pairs perfectly with the Reyes 2009 Syrah. It is smoky with blackberry flavors. This wine holds its own with robust flavors and spices. 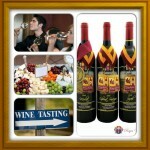 It has won Silver Medals at the 2011 LA International Wine Spirits Competition and 2011 Orange County Fair. In March of 2014, Wine Enthusiasts rated this wine at 85 points. Every wine also has a cheese, savory and sweet dish with which to pair. A drunken goat cheese or a chevre coated with rosemary and garlic would make a delightful cheese course. Menu items to pair for a main course include lamb chops or barbecue tri tip. For dessert, try a bread pudding with a Syrah blackberry sauce. 1. Melt butter in large sauce pan over medium heat. 3. Sear buffalo bones on all sides, and then remove from pan. 6. Add Reyes 2009 Syrah and cook until bubbly, about 20-30 more minutes. 7. Return the bones to the sauce and bake for 3 hours at 325.